Lately I have been a little obsessed with pistachios (do you see this beautiful green color?) and roses. I blame the British Baking Show for the rose part, watching it has expanded the flavors I want to use. Rose. More lavender. I have also really been itching to make something with a passion fruit curd. Those British used a lot of passion fruit! Last week I also dived into some cardamom stuff. WOW! That’s all I can say about this divine spice. I also am kind of embarrassed to say how many people I made smell my jar of cardamom. I basically wanted to bake 10 things using it. Which led to a lot of rose and pistachio parings. The very first recipe had me pulsing rose petals and maple sugar. If you have never baked with maple sugar, do yourself a favor and go get some. Another divine flavor, it blows cane sugar out of the water. Then I added the cardamom to this. And a blood orange glaze. The smell. The flavors. I was sad that it didn’t sell at market. I live in the Terre Haute though and not New York or France or some place with fancy food, and I get it. You want me to eat flowers? Baking with flowers can be delicate, you don’t want someone to feel like they are eating potpourri, you dig? So a light touch is very necessary. I almost wanted to give it away so people would step out of their comfort zone and give it a taste. I would have been the same way 15 years ago. BUT it had spectacular, like off the charts flavors. Buy some cardamom. Get some food grade rose petals. Also purchase the maple sugar I mentioned. That’s all I’m saying. Last fall I also started my journey into toffee making. I wanted to make these crazy Coffee Toffee Truffle Cupcakes for a coffee shop. They clearly are some bosses. I was surprised how easy it was to make toffee. I wanted to put it in everything as well. Brown butter cookies with toffee, mind-blowing. Simply good. A few months ago I was adventuring into the world of match a baking (green tea that obviously colors food green). I started with a tart crust because pie baking is my thing. I was a totally newbie, though, on matching flavors with the matcha flavor (another items that takes a light hand). I made a ricotta cheesecake filling, but felt it needed more flavors and textures. Toffee. But it needed to be different than a coffee hazelnut. Growing up, I have always been kind of a matchy-matchy person. So I wanted something green to go with the matcha, cue in the pistachio. And then I needed one more color to add. Now enter in the roses. Pistachio and rose is actually a classic combo. I gave my mom the extra toffee I had and she text me pretty much immediately to let me know it was AMAZING, her enthusiasm was very much an all-caps response. And I didn’t answer her text quick enough, she had to call me and tell me how good it was. It also did end up pairing nicely with the tart (which I will be sharing Thursday). But it is good just for munching too. Or maybe put it on a pretty naked cake with white roses or in shortbread cookies. Just ideas that pop into my head right away. I have been really excited to make these. I few weeks ago I attempted my first go with some extra cherry filling and pie dough. I learned that you don’t want to overfill the, as I had cherries trying to escape over the edge of the crust. And initially I was planning on just making regular raspberry pies, but when I made the chocolate crust for my market it was so beautiful and perfect, I HAD to make them chocolate raspberry. Learning my lesson from the first attempt, I stuck with just pressing the crust to the side and not up and out to flute. Although, this could be an option, just make sure to fill below the lid brim. I wanted to attempt some lattice work though, so I stuck with keeping it simple. The lattice work? With regular pie dough I can do some phenomenal stuff. I am known for my braided borders and some pretty weaving and work. This gluten-free dough is delicious and the best I’ve ever made and worked with, but a lack of gluten, also means a lack of elasticity. I am getting better at working with it. For instance I’ve learned that freezing is my friend, as well as cookie cutters. I’ll cut out letters, put them on parchment, freeze them and then put them directly on the pie when I’m ready to bake. Works beautifully. Same with my pie pops and turn-overs. I’ll make my dough up ahead of time, cut it out. Freeze and then bake. But I really want to do some lattice work. And I want to braid. So this was my first attempt. And……..it wasn’t perfect. The sticks were wanting to crack and were not easy to layer. They’re still cute, and absolutely delicious, but not up to par yet. So I will keep working on this braiding and lattice idea, but until then I would suggest cutting out little hearts for the center. Easy but cute and effective. What I also love about baking into a mason jar lid beside the cuteness and perfect size, is that the bottoms are removable. I love all the tart pans I have because they have removable bottoms. So the outside of my crust and bottom come right out flawlessly and I’m not stuck trying to use a knife to shimmy something out of a pan. I paid a nice price for these pans too, so thank you mason jars for having this built in feature. These are adorable and sure to be a crowd pleaser. Plus they’re a perfect little treat for yourself and your lover. So enjoy! Today I have the final 9 recipes, of my all-time favorites. If you missed the first 20 click->this link<- and ->this link<- right here. I highly recommend it, there are some really good ones on there. Make sure to read through this to the end. At the bottom I have included my newest recipes, surely to be a favorite as well. At least my husband tells me every time he eats it that it is ‘so good’. This is one of my favorite pictures to use ever! Pretty proud of myself, it looks like a perfect slice. There is a great amount of crust to filling. And the caramel drips perfectly down the sides. Plus taste, as I’ve already expressed this week, I am a fan of all things chocolate and peanut butter (now almond or cashew butter or sunbutter). Plus caramel! Come on. Clearly I love pizza. It is part of my brand name and website name. Not to mention my goal of a commercial kitchen to make topped gluten-free pizzas to sell (maybe at a Whole Foods, I never shared that before, but it’s what up, BIG goal of mine). This particular pizza is in my top because 1. I love breakfast (we eat breakfast for dinner frequently here at the Polifroni home) 2. It was so much easier to make than the vegetable crusts. That is the truth. Vegetable ones usually require peeling and cubing and boiling and mashing or shredding. And you run the risk of moisture, so the crust doesn’t crisp up. But cooking an egg in a cast iron and topping it accordingly, which makes life easier, without sacrificing taste. Yesterday I shared 10 of my favorite all-time recipes I have posted (click the link to check it). I have posted so many ->170<- so I couldn’t just pick 10! I have selected 29 of my favorites, plus one of my brand new favorites. Today I will share with you 10 MORE of my favorites! I hope you enjoy and of course stayed tune later this week for even more. This recipe actually fueled my fire to start my own business. I had had an awakening hike in Colorado, revealing my calling to have my own cooking business. A month later, I brought this pie to Thanksgiving. Everyone raved about it, “why are you training those kettlebells, you should have your own bakery?” This was the encouragement I needed. A nod to go for it. So I started posting recipes. Then I got into our local farmer’s market. I have been gradually building it ever since. We ate a lot of potatoes growing up, but I haven’t eaten them in years. I do enjoy playing around with alternatives. I had never eaten or heard of a rutabaga before I started really experimenting and playing around with new foods and recipes. And to this day rutabaga make my favorite fries! Sometimes I’ll use my crinkle cutter and make them look legit. I have been doing some major updating on my websites and brand lately. 2017 is the year of P3. It has my undivided attention and focus. No distracting job or bs to deal with. I can give it the time it needs to be nourished and to grow. For all the creative ideas brimming inside me to come into the light. With that being said, I have been updating some of my different pages. Someone gave me the wonderful suggestion of labeling my recipes as dairy-free, vegan, etc. This required me going back through and clicking each recipe to give the ingredients a quick check. Man I have posted a lot of recipes over the past 3 ½ years. My first post was a spiced apple cake (scroll down for the recipe) on June 3, 2013. 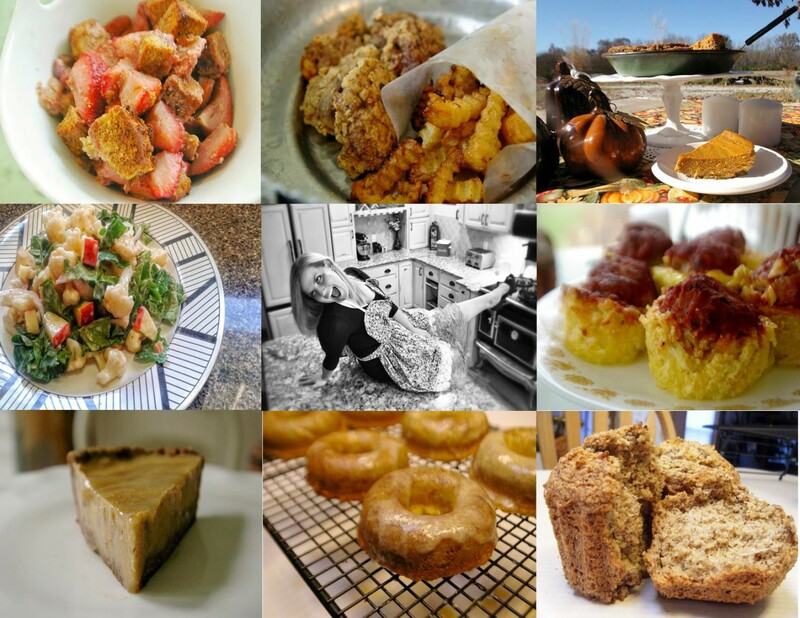 Since then I have posted nearly 170 recipes, plus even more posts on my thoughts, exercise, and travel. It was quite nostalgic going back through and I forgot about a lot of them. And I forgot how good some of them are. So I started saving them as I went, I figured I’d do a post of my all-time favorite recipes before I dive into the future and post more. I ended up saving 29 of them! I decided to break this down into 10 a day, plus a new recipe added to Thursday post. So today we begin! Here are 10 of my all-time-favorite P3 recipes! This is quite possibly my very-all-time-favorite. I was so pumped when I made it. All market I had been eyeing some fresh blueberries. My head kept whirling with ideas. I don’t eat desserts often, but cheesecake is my personal favorite sweet treat (for our wedding reception I made 9 made from scratch). Replace the cream cheese with goat cheese. My market neighbor gave me some basil. My grandma had given me some quinoa flour. It was a perfect blend of sweet, with a touch of savory. Plus I will never forget inviting my mother and nephew Trenton over to taste-test for me (thank goodness for such willing taste-testers). They plopped down right on the floor next to my table and ate their entire slices and then some. Devoured. I thought they would take it home. But it was too good to even make it out the door. Being a baker, people give you a lot of baking pans and accessories. I am so blessed to have so many people invest in my passion. Somehow I ended up with some taco bowl pans. My sister-in-law had requested tacos for dinner. It was the perfect time to use the bowls for my husband and I (granted we were still dating at this point). We loved sweet potatoes. So I definitely wanted to use them. They were so beautiful when I took them out of the pan. We had a date to go biking out at Terre Haute’s new bike park, first though. That didn’t stop Zach from munching on the crust. He was content and loved just eating the crust. Then we filled them and it was one of the best meals we’ve made together. I love some Fall. I love some hiking. I NEED some nature time. I love camping. I love climbing mountains. I love traveling. I love the cooler temperatures. The changing colors. I love wearing hoodies. I love cozying up with a hot coffee on a crisp morning. I love fall flavors. I love baking with apples and butternut and pumpkin and pears. And making caramel to go with it all. And lately I have been loving some soup. This is new. I am not typically a soup kind of girl. I think, like most things, this comes from my up-bringing. We were always eating a family meal, but chili was about it on the soup front. So I have been sweetly surprised by this soup craving. I come home from work or post walk and want soup. It’s a fun new avenue for me to explore. My mind lights up with potential flavors I can use. Butternut…definitely going to have to use that. My own version of chili, definitely. Some kind of vegetable. Some kind of chicken and ‘noodle’? Probably going to go there last. The first thing that popped into my head was a loaded potato soup. Growing up my mother was a big potato fan. We had baked potatoes all the time. And one year she made some awesome loaded baked potato soup. Loaded sweet potato soup. I was determined last week to make this. This was SO good. Plus I had leftovers to last me the week! It was hearty and filling. But most importantly, it was freaking delicious. The perfect amount of sweet potato chunks left out. The bacon. it was on point to say the least, and something I will definitely make again in the future.